Global norms protecting foreign intellectual property are a recent development and aren’t widely accepted. What are the limits of legitimate economic espionage? The indictment of five PLA officers for stealing U.S. intellectual property brings economic espionage into the same spotlight lately enjoyed by diplomatic cryptography. The U.S. decision immediately produced a firestorm of criticism from China, as netizens and the government alike pointed out evidence of widespread hacking efforts on the part of the United States. The United States attempts to distinguish legitimate from illegitimate espionage by concentrating on the theft of private secrets for public gain. Chinese hackers steal U.S. private property, and hand that property over to Chinese state firms. The United States, on the other hand, merely steals public (as in collectively owned) information for public gain. This includes intercepts of diplomatic communications that can give the U.S. an advantage in trade negotiations, as well as surveillance against foreign state-owned corporations. This last point is particularly important, as the United States intelligence community tends to regard (not entirely without cause) state owned firms as an arm of foreign governments. These arguments aren’t quite wrong, but they do edge towards incoherence. For one, China is hardly the only country to employ espionage in furtherance of direct economic gain. As Robert Gates and others have pointed out, France regularly conducted economic espionage against its allies, with the fruits of intel benefitting major French firms. During the Cold War, the United States intelligence community regularly gathered intelligence about the Soviet military — data that eventually found its way to private defense contractors. Indeed, even the idea that respect for intellectual property should cross international borders is a relatively recent phenomenon. The motivating concept for intellectual property protection is that legal defense for inventors can allow them to capitalize on a temporary monopoly over production. The granting of this temporary monopoly provides incentive for innovation, benefiting the entire public. However, over time the definition of “public” has changed. In the nineteenth century, “public” applied almost entirely to national communities, such that inventors who managed to copy or appropriate foreign intellectual property were regarded as national heroes. The change of “public” to refer to the international community is fairly recent, and is not fully accepted by many nations. Ben Wittes and Dan Byman took a long stab at answering the question of appropriate limits on espionage in last month’s Foreign Affairs. 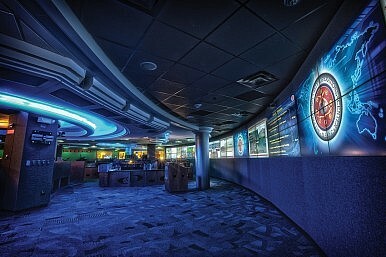 They identify the problem with U.S. intelligence collection as the collapse of a decades-long compromise with U.S. intel agencies that began in the 1970s, and ended with 9/11. Changes in technology have opened a much wider space for the NSA to conduct surveillance, and rendered obsolete the rules on collection. Wittes and Byman suggest that the problem lies mainly in concern over potentially illicit activities by intelligence agencies, and that increased oversight and transparency are the answer. This might ameliorate the domestic problem, but does little to suggest viable rules of the road for international behavior. None of this is meant to say that the U.S. Department of Justice was wrong to indict the five Chinese hackers, or that it’s wrong to pursue more robust efforts to defeat Chinese espionage attempts. But we can manage without the indignation, and without the suggestion that Chinese spying is worse by some order of magnitude than U.S. efforts. Indeed, Chinese efforts may appear more clumsy, but only because the U.S. NSA maintains such sophisticated capabilities for surveillance and analysis. However, as several writers have noted, because of Snowden and others, the United States no longer enjoys a “hypocrisy gap,” in which it can freely condemn Chinese behavior without enduring harsh scrutiny of its own intel agencies.